In close coordination with the New York City Department of Design and Construction (“DDC”) and The Wildlife Conservation Society (“WCS”), PMS Construction Management Corp. (“PMS”) constructed a fully functional animal hospital for the care of an extensive collection of aquatic mammals, including beluga whales and walruses at the New York Aquarium in Brooklyn New York. 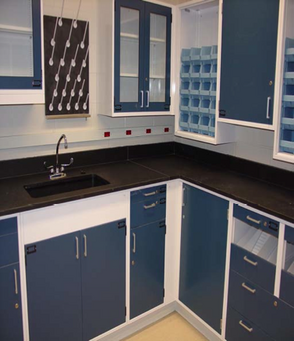 PMS provided all Construction Management / Build services for the 9,000 sq. ft. new Aquatic Animal Medical Facility. The four Prime trade contracts were procured by PMS as per Wick’s Law requirements. PMS also retained the services of a new architectural firm and controlled inspection consultant to accommodate project related needs. The design contract, controlled inspection contract, change orders and administrative services resulted in a total cost of $13,200,000. The first floor of the structure contains a treatment room, surgical preparation area, clinical laboratory, biological archives, pharmacy, dark room, food preparation area, decontamination room, animal transport corridor, two interior wet wards and elevator. 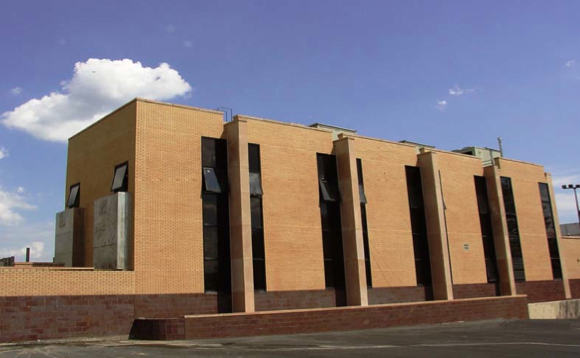 The second floor consists of four offices, conference room, record archive, volunteer room, kitchenette, locker room, overnight room, server room and exit to the isolation tank. The life support system (LSS) that provides and maintains the water throughout the tanks and wet wards was re-designed by the WCS one year after the start of construction. PMS closely coordinated WCS requirements with the contractors to integrate the changes into every aspect of construction. After completion, the systems were tested and operated flawlessly. The foundations of the three concrete cast-in-place aquatic wards were designed with elevations at several feet below the water table. Extensive dewatering operations were employed during concrete placement activities. The use of a concrete waterproofing admixture provided three water-tight pools. The containment area (Aquatic Ward #3) for the walruses was re-designed to withstand the powerful charge of a 3000 lb. aquatic mammal. Stainless steel tubes and woven mesh panels were set into 12” masonry walls in lieu of a chain like fence required by the Contract Documents. The doors of the facility are constructed of stainless steel and fiberglass to help withstand the corrosive effects of saltwater environments. The doors are also oversized and motorized for vertical or horizontal operation to allow for the rapid egress of wheeled transport units that are used to transport animals into and out of the treatment room. The treatment room contains x-ray and other vital pieces of equipment that are essential for medical diagnosis and treatment. All doors, walls, ceilings and penetrations at the treatment room are lined with lead sheets to provide protection from hazardous x- rays. The interior floor spaces on the first level were finished with epoxy resin coatings to provide a waterproof durable finish. The walls were also finished with epoxy paint for ease of cleaning and maintenance. The HVAC systems were designed to heat, cool and dehumidify all interior spaces through the use of a complex control wiring system connected to a computer monitoring station. The emergency generator located in the penthouse is capable of operating lighting, power outlets, and all equipment utilized while performing surgical procedures in the event of a power outage. Major building components consisted of a structural steel frame, concrete block and brick cavity walls. Pre-cast concrete fiberglass panels were used on the South and North elevations and the buttresses. The treatment room will act as the primary space for any required medical procedures performed on the animals. The treatment room is equipped with an operating table, surgical lighting and operating sink/table for fish. There are several drop down medical gas and electrical stations that assist the surgical team during medical procedures. 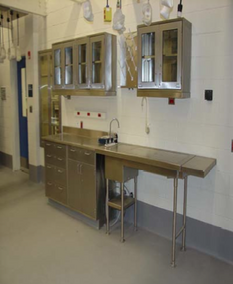 The casework throughout is hospital grade and many components are stainless steel. The 30’ diameter 10’ high fiberglass isolation tank contains a viewing panel for the monitoring and observation of sea life. A crane was installed to hoist the large animals in and out of the tank. Stainless steel tubes, pressure treated timbers and composite decking comprise the deck around the tank. A tensile structure provides for partial shade over the tank.